Azure Ridge Farm is owned and operated by Kayla Dechart. 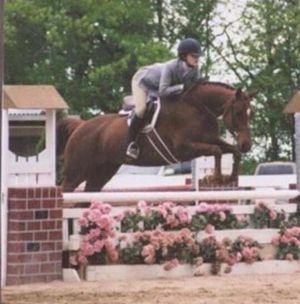 She spent her childhood riding in the Hunters, Jumpers, and Equitation. After successfully showing on MHJA and HJAM, she attended the University of Findlay and rode for their prestigious IHSA team as well. After riding with so many of the area's top trainers, Kayla looks forward to passing her knowledge to others. Kayla has an eye for potential and her program helps bring out the best in both horse and rider. Green horses thrive at Azure Ridge due to the her patience to build confidence and trust with their rider.